“Forget meadows. 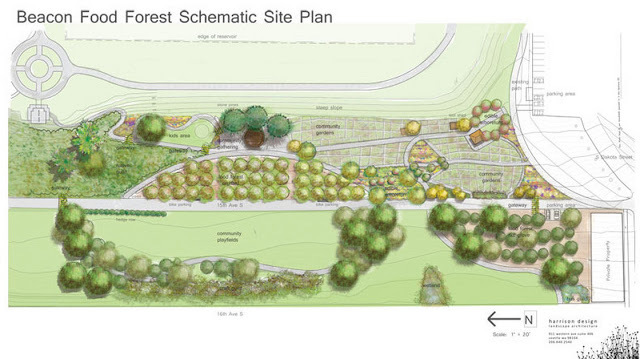 The city’s new park will be filled with edible plants, and everything from pears to herbs will be free for the taking. The concept is as new as it is bold. It brings so many benefits in so many fields that is becomes difficult to write them all down, from providing food free-of-charge to bringing green areas into our cities, to educating our children about the importance of Nature and valuing Earth as the ultimate provider, to making our cities self-sustainable and ascertaining that man and nature can co-exist in harmony. There is a lot of good things coming from this project, but the best would be, in my opinion, to create a new place, an Oasis aside from the consumerist life-style that dwells in our societies today, showing that if we act together as the family we are and learn to share, maybe, just maybe, all this capitalist ideology that is destroying our world with every passing day becomes something that we can just put aside, like an old, muddy pair of shoes that have been used for far too long. “So just who gets to harvest all that low-hanging fruit when the time comes?